Rare Replay is ranked in the 92nd percentile of games scored on OpenCritic. The best bundle of games releases for an Xbox since The Orange Box. Some are all-time classics, Others are Grabbed By The Ghouies. Buy it if you're an Xbox One owner who could use a deep dive into classic, super-hard games. Its value proposition is almost unrivalled and the extra features add a twist of modernity to what could have easily been a quick cash grab collection. Rare Replay is, simply put, one of the best collections in gaming history. Hours upon hours of gameplay await players, and with classics like Banjo, Conker, and Perfect Dark those hours won't be wasted. Rare Replay is an amazing collection of games at a bargain price, and shows what an incredible run the UK studio has been on for the majority of its existence. This collection really is a no-brainer, especially for fans of Rare's classic works. There are 30 games here, and all of them are amazingly well-designed. This isn't one of those cheap packages that boast quantity over quality, it is quite the opposite. There are titles on here some would pay $30 alone for, and the care taken to bring them to Xbox One is greatly appreciated. If you own an Xbox One, this is one collection you should definitely not miss. Rare Replay is a fantastic compendium from start to finish. Even discounting the games you might never want to play, the price point is intensely difficult to refuse in exchange for the amount of fun it will provide. From Battletoads Arcade to Snake, Rattle & Roll, Viva Pinata: Trouble in Paradise and Banjo-Tooie, there's so much there, both replayable silliness and extensive, hours-long adventures. Rare Replay is loaded with gems and classics that by and large have stood the test of time. Modern tweaks and goodies make it all the more worthwhile. It's the best value in gaming, and sets the bar for any compilation going forward. There are certain control and formatting options that we would've liked to see included, but there's so much engrossing entertainment here that it feels wrong to whine about what are, in most cases, negligible details. Even though it costs actual money, Rare Replay feels like a heartfelt gift from Rare to its fans, and it deserves your time, money, and appreciation. Rare Replay is a new milestone for compilations. 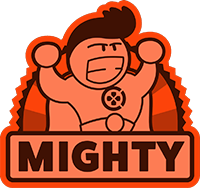 A great deal of care was put into the project, and 30 games is enough meat to ensure that everyone will really enjoy at least half of them. I sincerely hope this is the start of a revival of the classic Rare we know and love. Whether returning to games of your childhood, or experiencing these titles for the first time, Rare Replay should be an essential purchase for Xbox One owners. Rare Replay comes packed with 30 different titles from throughout Rare's long and illustrious existence, making it one of the biggest no-brainers in gaming. Getting all these Rare classics for a buck apiece is tantamount to theft in this reviewer's opinion. Rare Replay's technical challenges on a handful of games stand as the only aspect that detracts from an otherwise outstanding collection of titles. With titles reaching back as far as 1983 and as recent as 2008, this is one diverse collection that promises a lot of fun around a variety of genres. Thirty games. Thirty bucks. It's pretty tough to top a collection like this. Rare Replay is a momentous celebration of gaming history. The package has been constructed with care and attention to detail, offering gamers of all types a glimpse into the past of one of the industry's greatest studios. A fantastic package that charts the history of one of Britain's most important developers. It works both as a historical archive, and as a top-tier package of classic games. There really is something for everyone in this wonderfully crafted anthology. Think of Rare Replay like an entire Criterion Collection for video games in one package. Despite that tiny gripe Rare Replay does an incredible job of bringing back some of the best games of the past 30 years into one convenient place. It's a great trip down memory lane, one that I bet will bring a lot of smiles to faces young and old. As a compilation, Rare Replay is one of the best deals on the market. As a look into the illustrious developer, there's a ton of great history to be experienced. As an experience, this represents three decades of gaming that must be experienced. A collection of pure gold. Even the few less-famous titles are worth a look, and the inclusion of a handful of last-gen diamonds makes it unbelievable value. Rare developed games seldom see a remastered version or show up on a digital back catalog due to the company having changed ownership. Thus, seeing a compilation as robust as Rare Replay allows wistful gamers the chance to relive precious memories faded for decades, and others the opportunity to enjoy some of the greatest games of the past by one of the most lauded developers of the time. Yes, the collection is missing a few of its best, but for a mere thirty dollars and hundreds of hours of enjoyment, it's a hard sell not to recommend adding this album to your library. There you have it; thirty games from three decades in one fantastic package. Rare Replay sets the stage for what should be expected from a retro game collection and I absolutely see myself playing this game until I amass that 10,000 Gamerscore that can be earned. Although some of Rare's truly classic games like Goldeneye and Diddy Kong Racing are missing from this collection (Nintendo anyone? ), both Rare and Microsoft have still paid homage to their great back catalogue such as Banjo Kazooie, Jetpac and Killer Instinct which are all still quite playable and enjoyable today. Sure, they are missing that next-gen look and sometimes gameplay but overall, it's a great blast from the past that truly showcases the diverse history of Rare with 30 titles. Ultimately, Rare Replay is a must-buy title if you have even a passing interest in a handful of the included games. While the technical issues prevent it from being an ideal collection, the value justification is impossible to ignore. The majority of these games are great choices, and at an average price of $1 a game (even less if you get it on sale), you're not really missing out even if you end up not liking a few. With a $30 price tag, Rare Replay presents an amazing value. You likely have enjoyed these games before, at least in part, and there is no better way to experience them now than in Rare Replay. Rare Replay is undoubtedly an insane amount of value for money, shining a light on one of the world's most celebrated developers and 30 of their biggest titles. A great mix with some classics, not so classics and games that slipped under our radar, all brought together with slick presentation and an incredible amount of fan service. All hail Rare. Rare Replay is a well-done collection of titles and special features, and is almost as much of a no-brainer purchase for every Xbox One owner as Halo: The Master Chief Collection. Rare Replay is an incredible offering for the Xbox platform, at a cheap price. 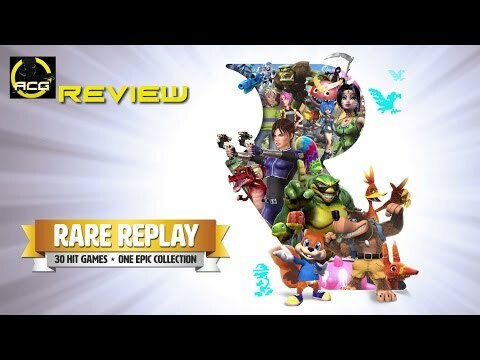 While some titles had hiccups, the full offering of games is enough to make Rare Replay an absolute must have for any fan of Rare, or anyone looking to play some of the most iconic games in the industry. Rare Replay is one of the best compilation titles you could ever pick up. There is tons of quality and replay value here. Just being able to have Battletoads, RC Pro AM, Conker, Banjo-Kazooie and Perfect Dark all together on one package is huge to me and most of the other games are fantastic as well. Throw in all of in game achievements, challenges and history videos and you have the definitive Rare collection. Highly recommended. Rare Replay isn't without its weaker titles, but a generous amount of quality games and fun unlockables still makes it a great offer. Rare Replay is an easy recommendation for value-conscious gamers, but it has a surprising amount of historical heft as well. A fascinating voyage through thirty years of video games history, with some truly fantastic games along the way. Not all the oldies are goldies and some of the earliest struggle to hold up, but any compilation that can pull in classic platformers, pioneering shooters and cult-classics like Viva Pinata and is sequel are worth your time. Replay is a celebration, and these are games worth celebrating. Rare Replay is a lovely collection that I can't help but feel could have been even lovelier. A great collection of classic games. Whether you've been a fan of Rare for three years or for thirty, there's something here for everyone, with plenty of gems waiting to be discovered for the first time. Rare Replay isn't without its minor hiccups, understandable in such a vast collection, but it's something that should be in every Xbox One owner's collection. Even though Banjo-Kazooie: Nuts & Bolts and Blast Corps have their share of technical issues and the ZX Spectrum titles included have aged roughly, it's going to be almost impossible not to enjoy yourself here. You might need some prior connection to Rare to appreciate the nostalgia, of course, but Replay makes you stop and think 'blimey, Rare really were very good'. Rare Replay offers tons of content and software for its asking price. Getting the chance to replay classics from the NES, SNES, and N64 era is a treat for longtime fans. This collection shows that Rare made some of the best games the industry will ever see, and gives hope that they one day return to their former glory. Rare Replay is a massive collection of great games and interesting documentaries, but not everything is as good as it could have been. Rare Replay offers 30 games from across the 30-year legacy of beloved game developer Rare, and while not every game holds up, this huge piece of gaming history will keep you entertained for a long time. All in all, Rare Replay is a great package. 30 amazing games spanning a beloved studio's history, a low price, amazing extras that take fans behind the scenes, and a wonderful musical to kick things off make for the best collection of gaming goodness released in a long time. It feels like we get a remake, compilation, or some other form of do-over once a week or so in the gaming community. Many of them are not worth buying unless it's a great game and you've missed the previous version. With 'Rare Replay,' Rare has managed to put together not only a set of some of their best games, but added in some colorful bonuses and replayability. It is missing some of their brightest stars, but it still has a lot to offer. Including thirty games, there's no denying the value in Rare Replay. Rare Replay is a compilation with selective eye sight, but portrays the studio for what they did best: Character. Some of the games in here are real solid nines out of tens, and maybe even one of them is a ten out of ten, but they are held back by the otherwise sloppy conversion and that makes Rare Replay somewhat disappointing at times. Performance issues aside, this is probably one of the best game compilations out there and is at an unbeatable price. …the thirty dollar price tag will give you a lot more if you're a long running fan, and a retro game nut of course, with the ability to go back to a time when innocence remained, Garbage was a relevant band, and Rare made games. There are notable absentees. Two of Rare's best games, Donkey Kong Country and GoldenEye 007, are missing for licensing reasons; but despite this, for £20, it's hard to imagine any package as generous, charming and enticing as this beautifully constructed box set.